At the last count, no fewer than 14 members of the opposition Peoples Democratic Party (PDP) have indicated their intention to seek the presidential ticket of the party. The aspirants are a former vice president, Atiku Abubakar; the Senate President, Bukola Saraki; his predecessor, David Mark; Governor of Sokoto State, Aminu Tambuwal; Governor of Gombe State, Ibrahim Dankwambo; a former governor of Kano State, Rabi’u Kwankwaso; a former governor of Jigawa State, Sule Lamido; and a former governor of Kaduna State and former governor of Kaduna State, Ahmed Makarfi. Others are a former governor of Sokoto State, Attahiru Bafarawa; a former governor of Plateau State, David Jang; a former Minister of Special Duties, Tanimu Turaki; and a former Kaduna North senator, Datti Baba-Ahmed. Barring any last minute change of mind, all the aspirants will present themselves to the delegates to the party’s national convention slated for October 5 and 6, to be chosen as its flag bearer in the February 16 presidential election. Although, all the aspirants are tested politicians who have also occupied varied prominent positions in the public and private sectors, the ambitions of some of them are dogged by controversies and allegations of corruption against them. Mr Abubakar was Nigeria’s vice president between 1999 and 2007 on the ticket of the PDP. He later contested for president on the platform of the defunct AC but lost. He also contested the primaries of the PDP and APC in 2011 and 2014, respectively and also failed. On July 21, Mr Abubakar declared his bid to contest again on the ticket of the PDP in Yola, the state capital. Mr Abubakar’s ambition is dogged by allegations of corruption while he was in office as vice president. In 2006, the Senate ad hoc committee headed by Victor Ndoma-Egba investigated and indicted him and his former principal, Olusegun Obasanjo, of mismanagement of funds belonging to the Petroleum Training Development Fund (PTDF). The committee in its report the following year said Mr Abubakar “abused his office by aiding and abetting the diversion of public funds in the sums of $125 million and $20 million,” and should be sanctioned. The committee was constituted in 2006 following verbal brickbats between Messrs Obasanjo and Abubakar on the mismanagement of the funds. But Mr Abubakar dismissed the report, citing political persecution. He spoke again on the matter on Tuesday while on a visit to Ekiti State. “I have always said that if they have any evidence of corruption against Atiku, please come forward. But nobody has been able to come forward,” he said. Besides, Mr Abubakar is also trailed by another corruption allegation in faraway U.S. The former vice president was alleged to have received kickbacks for his role in helping an American firm, iGate, secure a contract to expand broadband in Nigeria. Williams Jefferson, an American politician who was a member of the U.S. Congress at the time, was convicted for his role in the contract fraud. Mr Jefferson was said to be an associate of Mr Abubakar, and it was reported that the infamous $100,000 cash that was found in Mr Jefferson’s refrigerator was intended as parts of the bribes to be paid out to Mr Abubakar. Mr Jefferson was convicted on 11 out of 16 counts of criminal charges filed against him in 2009 and sentenced to jail shortly thereafter. But prosecutors could not find Mr Jefferson guilty of allegations of bribing foreign officials, which meant that there was no evidence to link Mr Abubakar to the $100,000 bribe. Despite this, Mr Abubakar’s critics insist he cannot travel to the U.S. because of the matter. Mr Abubakar however has repeatedly said he had nothing to do in the U.S. He explained that he had no reason to visit the country because his wife, Jennifer, no longer lives there. Mr Saraki was governor of Kwara State between 2003 and 2011. In 2011, he was elected into the senate and has since been there. Early in the life of the current federal administration in which he is number three in the hierarchy, Mr Saraki was charged by the Code of Conduct Tribunal. He faced a 13-count charge bordering on corruption and false assets declaration. The senate president was specifically accused of offences ranging from anticipatory declaration of assets to making false declaration of assets in forms he filed before the Code of Conduct Bureau (CCB) while he was governor of Kwara state. After about three years of tortuous judicial journey, Mr Saraki was cleared of all the allegations by the Supreme Court on July 6. While the CCB case lasted, findings by PREMIUM TIMES and the International Consortium of Investigative Journalists (Paradise Papers), in 2017, indicated that Mr. Saraki sat on the board of an offshore entity while he was governor and later member of the Nigerian Senate in violation of Nigeria’s code of conduct law. The senate president set up Tenia Limited in the Cayman Islands —a notorious tax haven in the Caribbean— in 2001, and ran it until at least 2015 as director and sole shareholder. It is not clear what business he transacted with the entity and what asset he might have used it to conceal. Findings indicated that Mr Saraki failed to list the firm in his assets declaration filings when he was elected governor of Kwara in 2003, in defiance of the Code of Conduct Bureau and Tribunal Act. He also did not list the company when he was reelected governor in 2007 and when he was elected senator in 2011. Also, PREMIUM TIMES reports on the Panama Papers linked several firms to Mr. Saraki based on the trove of 11.5 million documents and reported that the first, Girol Properties Ltd., was registered in the British Virgin Island (BVI) on August 25, 2004, a year after the politician became governor. The second company, Sandon Development Limited, was registered in Seychelles Island on January 12, 2011 and had Toyin Saraki, his wife and one Babatunde Morakinyo, (a long-term personal aide and friend of Mr. Saraki) as shareholders. The third hidden company in the name of Mrs. Saraki is Landfield International Developments Ltd., a company registered in the British Virgin Islands on April 8, 2014. The companies were never disclosed and it turned out Mrs. Saraki was a mere front for her husband. But in his response, Mr. Saraki said the controversial assets belonged to the estate of his wife’s rich and famous family, and that the law did not mandate him to declare such category of assets. Recently, the Nigeria Police linked the senate president with armed robbery in Offa, Kwara State, that led to the death of over 30 persons. The police said some of the arrested suspects in the April Offa robbery confessed that Mr Saraki and Kwara State Governor, Abdulfatah Ahmed, were their sponsors. In August, a Federal Capital Territory High Court ordered the suspension of investigation into the alleged involvement of Mr Saraki pending further hearing on the matter. He was senate president from 2007 to 2015 on the ticket of the PDP. Mr Mark, who represents Benue South, is the longest serving senator in Nigeria having been first elected into the chamber in 1999. The former senate president was first questioned by the Economic and Financial Crimes Commission (EFCC) in December 2017 and again in January 2018 over receipt of illegal funds in the days before the 2015 elections. He was grilled over alleged payment of N2 billion into the National Assembly account by the PDP for distribution to senators. Mr Mark has since denied receiving such fund. PREMIUM TIMES also reported that Mr Mark had links with eight offshore companies in British Virgin Island as shown by the Panama Papers. The database showed Mr. Mark was one of Nigeria’s most extensive users of offshore shell companies while serving as a public official. But Mr Mark denied that the PanamaPapers database mentioned him anywhere. Mr Lamido is the immediate past governor of Jigawa State, which he governed between 2007 and 2015. He had been foreign affairs minister between 1999 and 2007. In July 2015, Mr. Lamido and his sons were arraigned by the EFCC on allegations of money laundering, amongst other charges. A 28-count charge bordering on a number of alleged breach of trust was slammed on Mr Lamido, Aminu Sule Lamido, Mustapha Sule Lamido and one Aminu Wada Abubakar, in a Kano High Court. They allegedly received N1.35 billion kickback from a government contractor. The money was allegedly paid into accounts controlled by the governor and his sons. They all pleaded not guilty after the charges were read to them and were granted bail. They were however remanded by the court pending their bail application hearing. In July 2017, the EFCC re-arraigned Mr Lamido, his two sons, and five others before Justice B.O. Quadri of the Federal High Court, Abuja. Mr. Lamido, his sons, Aminu and Mustapha, were on re-arraigned alongside Aminu Abubakar, Batholomew Agoha and three companies on charges bordering on corruption, money laundering and illegal diversion of public funds to the tune of N1.35 billion. They also pleaded not guilty to the charges. The accused were admitted to a N25 million bail bond each, in addition to a requirement that they submit their travel passport to the court. The court also directed that they provide two sureties each, one of which must be a civil servant of grade level 16 or retired as such, or a businessman who owns a landed property not worth less that N75 million in Abuja or Jigawa state. Mr Bafarawa was the governor of Sokoto State from 1999 to 2007 on the ticket of the defunct ANPP. He ran for president on DPP platform in 2007 but lost. He joined the PDP in 2014. He was a member of the House of Representatives in the Second Republic. In 2015, Mr Bafarawa, his son, Sagir, a former National Security Adviser (NSA), Sambo Dasuki, and others were arraigned in court for alleged money laundering and criminal breach of trust. They were accused of diversion, misappropriation and breach of public trust in respect of N19.4 billion. Mr Bafarawa’s son, Sagir, allegedly acting as front for his father, received N4.6 billion from the NSA’s office. They were arraigned on 22-count charge before Justice Peter Affem of the Federal Capital Territory (FCT) High court. When the charges were read to them, all the accused persons denied the charges one after the other. Earlier in 2009, the EFFC had preferred N15 billion corruption charge against the former Sokoto governor. Mr Bafarawa and four others were arraigned in a Sokoto High Court in 2009 on allegations bordering on corruption, illegal sale of government shares, misappropriation, criminal breach of trust, receiving stolen properties and unauthorised payments allegedly committed between 2003 and 2007. The others were Beedash Nigeria Limited, Nasdabap Nigeria Limited, Alhaji Nasiru Dalhatu Bafarawa and Alhaji Salihu Maibuhu Gummi. The defendants alongside 12 others were first arraigned on 47 counts on December 16, 2009 before the Sokoto State High Court. However, the recent case involving the former NSA is still ongoing. He is the immediate past governor of Plateau State and a serving senator representing Plateau North. Mr Jang, a retired air commodore, was military governor of Benue and the old Gongola States between 1985 and 1987. Mr Jang, 74, is being prosecuted by the EFCC for alleged corruption. He and a former cashier in the Office of the Secretary to the State Government, Yusuf Pam, were fingered in the diversion of N6.3 billion belonging to the Plateau State Government. In May, the former governor was incarcerated and later granted bail by the Plateau State High Court after one week in detention. Mr Jang had earlier dragged the Minister of Information and Culture, Lai Mohammed, to court for including his name in a controversial looters’ list published by the federal government. According to the list, the former governor stole N12 billion from the state’s treasury while in office. e) within a period of less than ten years before the date of the election to the office of the President has been convicted and sentence for an offence involving dishonesty or he has been found guilty of the contravention of the of the Code of Conduct;…. The PDP says despite the allegations, its aspirants will be allowed to contest the primary at the national convention because the country’s laws are clear about the qualifications of a presidential aspirant. “Remember Baba (former President Obasanjo) wanted to use EFCC case to stop Atiku (in 2006). 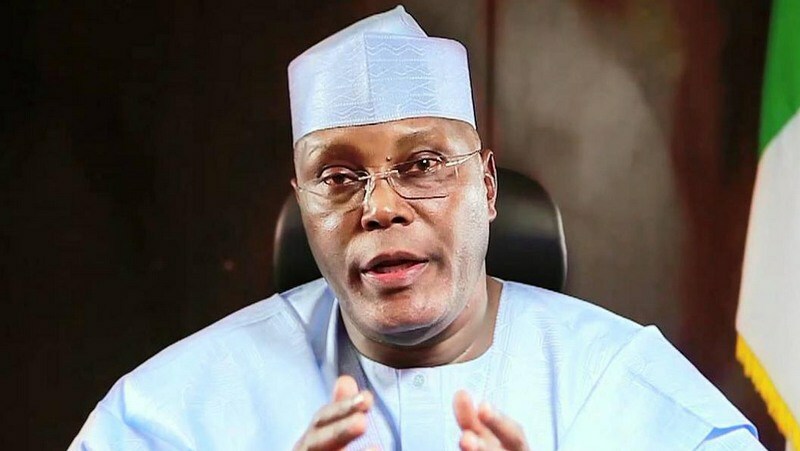 Atiku went through the High Court up to Court of Appeal to the Supreme Court and the ruling was that the constitution has specified those that cannot contest election and the provision of the constitution and the Electoral Act are unambiguous and any other law is inferior to the provision of the constitution,” Kola Ologbondiyan, its spokesperson, told PREMIUM TIMES. “Nigerians know the kind of president that they want. Who will become the president of Nigeria is not within the ambit of any individual to determine. It is left for voters to decide who will be their president. “I am aware that the APC/Buhari’s government is plotting with the EFCC to use the EFCC to determine those who will run for the election. But the provision of the constitution is very clear. Our electoral law has removed the screening of aspirant and candidates from the INEC and put it in the hands of the party. They don’t understand governance. The provision of constitution and electoral law is unambiguous. “They have no power to screen anybody and they have no power to stop any body. They have no power to stop anybody. Everybody (the aspirants) will be given a level playing field. Governor Bindow Flags-off Distribution of Educational Materials to Seven Ravaged LGAs in Adamawa State.